Amazon announced plans for a sixth fulfillment center in Ontario, Canada, this one in the town of Caledon in the greater Toronto area. Earlier this month, it announced plans to build a new fulfillment center in the eastern suburbs of Ottawa to be used to fulfill large items such as household decor, sporting equipment and gardening tools. The new 1-million square foot facility in Caledon will be used to fulfill small items to customers such as books, electronics and toys. Amazon today announced plans for a new fulfillment centre in the Greater Toronto Area, in the Town of Caledon. The 1-million square foot facility will create more than 800 full-time jobs with comprehensive benefits and join Amazon’s network of existing Ontario buildings in Brampton, Mississauga, Milton and the recently announced facility in Ottawa. 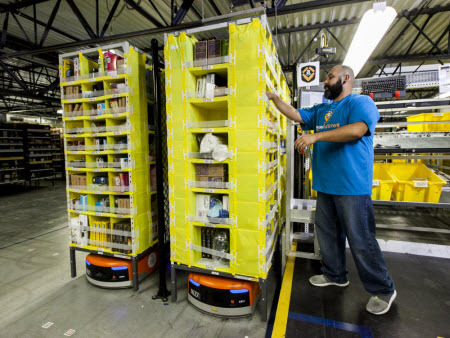 This will be Amazon’s sixth fulfillment centre in Ontario, where it currently employs more than 2,000 full-time associates, and the ninth facility in Canada. Full-time employees at Amazon receive competitive hourly wages, medical, vision and dental coverage, a group RRSP, stock awards, and performance-based bonuses starting on day one. Amazon also offers employees access to innovative programs like Career Choice, where it will pre-pay up to 95 per cent of tuition for courses related to in-demand fields, regardless of whether the skills are relevant to a career at Amazon. Since the program’s launch, more than 16,000 employees across the globe have pursued degrees in game design and visual communications, nursing, IT programming and radiology, to name a few.